From steam and electricity to today’s Internet era, human industrial civilization has undergone tremendous changes. Nowadays, labor costs and material costs are also rising. The manufacturing industry is striving to find low-cost production alternatives. Most countries have introduced policies to promote manufacturing transformation and upgrading. With the advancement of technologies such as the Internet of things and big data, the robot industry has also ushered in the 2.0 era. All the facilities on the production line, including machines, people, products and other physical objects will be connected through the network. The next great era of data-driven is being arrival, artificial intelligence, new materials, digital creativity, new display technologies will bring new solutions to our life scene, including unmanned chemical plants, elderly solutions. The combination of artificial intelligence and sensory technology is a new kinetic energy for our next generation to truly produce the future. The future robotic system will move from 1.0, the Robot Rapid Prototyping in the cage or the fixed-programming robot to the so-called 2.0 robot, which can adapt to a variety of different environmental dynamic performances with excellent interaction capabilities. 2.0 robots actually put more traditional sensing, computing, control and communication functions on traditional robots and traditional electromechanical systems, so that we can realize the system functions, even if it is very complicated, without adding the whole system. The complexity of electromechanical systems allows machine intelligence to be more powerful than humans and can play a larger role in larger application scenarios. Future robots will gradually become more and more long-term memory functions. Based on natural language processing, interactive forms of robots will talk to humans. This will bring more new possibilities to robots in the next five or ten years. Automated driving is also an important direction for robots and future systems. 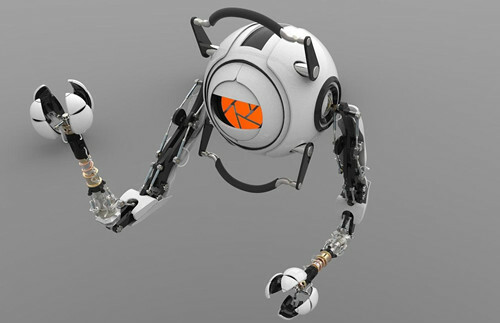 The future technology is an integrated approach between full and underactuated, which gives us some unique innovations in the overall design and control of Robotic Prototypes in the future. One-third of the world’s equipment and more than two hundred products are produced in China. China is facing the problem of aging, and by 2050, the population of people over 60 will reach one-third. Coupled with the increase in labor costs, the shortage of labor and other factors, forced the Chinese manufacturing industry to develop smart manufacturing. Machine substitution has become an urgent demand for China’s manufacturing industry. At present, it includes robots, 3D, CNC, etc. in the field of intelligent equipment. More importantly, it is for product quality improvement and equipment status detection. And then the development of software, these issues constitute a manufacturing system, giving us the space for innovation and entrepreneurship and opportunities for industrialization. Artificial intelligence has become a hot topic of discussion. In the future development of robots, the combination of artificial intelligence and robots will be an important direction. For example, the Boston Institute of the United States originally turned out to be a doctor who graduated from MIT and launched the first generation of four-legged big Robot Dog Prototype. Later, they spent a few years researching and developing a new generation of high-dynamic bionic big dogs. Live and jump, avoid obstacles and even do backflips. In the ever-changing environment, the robot can recognize and restore the original expectation as soon as possible. This is the embodiment of artificial intelligence. If the robot is not affected by a huge impact during the work process, it is possible to fall down. This process must learn its current state, return to what state, and what inertial control is used. is very important. Cost Savings: The robot can be operated 24 hours a day. For example, if the product is taken out on a conveyor belt or a receiving platform, only one person is in charge or one person can watch two or more machines at the same time, which saves labor costs. In addition, with the mode of industrial robot operation, the automatic assembly line can save the factory floor, making the whole plant planning smaller, more compact and refined. The description of the robot, please modify it. High Production Efficiency: It takes time for a robot to produce a product. In the same life cycle, the output of the robot is also fixed and will not be high or low. And the production time of each mold is fixed, and the yield of products is also high. It is more in line with the interests of the boss to use Prototype Robots production. High Safety Factor: With the production of robots, the safety of workers can be guaranteed to a greater extent. There will be no work accidents caused by work negligence or fatigue. In the survival workshop where shifting is required, physiological fatigue is more likely to occur at night, resulting in a safety accident, and the use of a robot can ensure safe production. In addition, some of the more dangerous types of work are operated by industrial robots with higher precision, higher stability and greater safety, which can ensure the safety of personnel. Easy To Manage: In the past, it was difficult to accurately guarantee the daily production volume in the enterprise, because there will always be some employees who are lazy. As a supervisor, there are so many things every day, and it is difficult to constantly grasp whether employees are doing things well. After using the robot to produce, the number of workers is reduced, and employee management is more convenient. Industrial Rapid Prototyping is changing the development of robotic technology. With the ease of use and stability of robots and the continuous improvement of the level of intelligence, the field of robot applications has gradually expanded from operational tasks such as handling, welding and assembly to processing tasks. Human-machine collaboration is becoming an important direction for the development of industrial robots. Traditional industrial robots must be kept away from humans and used within protective fences and other barriers to avoid human injury, which greatly limits the application of industrial robots. Nowadays, with the development of lighter and flexible industrial robots and Rapid Model Building, people and machines work together to combine human cognitive ability with the efficiency of robots, which has become the direction of continuous research of industrial robots. Industrial robots are entering a large number. Industrial manufacturing is also making great changes to industrial robots.